You will receive a link to a digital download of "Life" immediately after your order is complete. Pianist and composer Renara Akhoundova has recorded over 100 original compositions and studio improvisations and performed in 17 countries. But it all started in 2004 after an encounter with herself, thanks to Marshall Rosenberg and Nonviolent Communication. Through the art of empathy, a new inner world opened before her. That's where the music was born. Renara applied the technique she had honed since the age of five to her new passion for composition and improvisation. She hasn't stopped creating new music since. 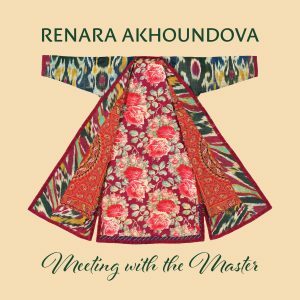 "Meeting with the Master" is Renara's fifth album. In this 73 minute tour-de-force she returns to her roots. Inspired in part by experiences with the Sufi teacher M. Norbekov and an elder of the Central Asian highlands, here Renara applies her technique to produce more Oriental melodies. This album will have you dancing across the mountains of the Caucasus and the steppes of Asia with dervishes and hidden mystics of the heart. For less than $1 per song, this album will be yours forever. Click the button below to order. The collection of 11 .mp3 music files can be placed on any device you choose after your download.